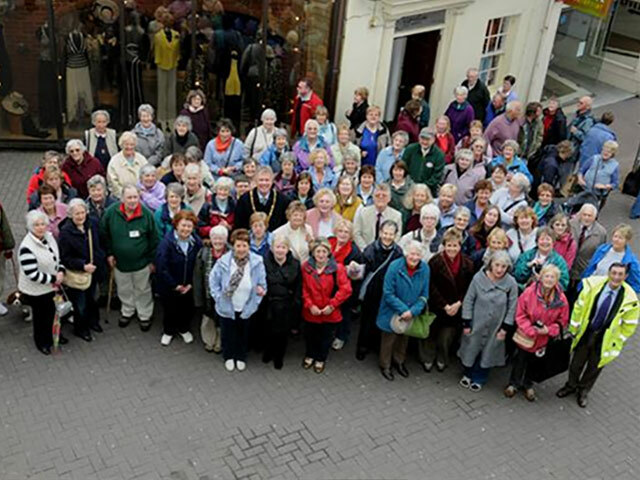 Guided Tours: of the town centre are led by Carmarthen Town Guides and last approximately ¾ hour, at 11.30 am every Wednesday from 13th May, admission free. Starting Point: Meet in front of the Castle, Nott Square. Joining the Tour: Individuals can join the tour (subject to availability of spaces) without booking. Group Tours: are available on other days - phone 01267 231557. Acknowledgements: The guided tours have been made possible thanks to the voluntary efforts of the Carmarthen Town Guides, the Ty’r Castell project undertaken by Carmarthenshire County Council staff and the Dyfed Powys Police Museum Curator.